Many entrepreneurs and authors cut their teeth with social media marketing. From Facebook contests to online press releases, most of the “under 40 crowd” are pretty cozy marketing online. If online is your only venue, you are not only missing out on building real connections, but you may be missing out on laying important groundwork for national media attention. Now, before you contact your local newspaper and “mommy blogger” let’s examine 8 simple ways to integrate your online with your offline marketing. This applies not only to books, but to your business as a whole. Print vs. electronic—While it’s difficult to sell your product or book at an event, some people will buy a print book if they see them stacked up in front of them. A book is an object you can touch, feel and read… people can take a test drive. My friend and client, Kathryn Ford is a genius at this. She started selling her book at her speaking events BEFORE it was written. She simply offered an incentive to pre-order her book at all her events prior to launch. With this list, her launch will be pre-seeded with buyers, making it even more effective. In-person contact—While social media is massively efficient, it’s still a monologue. Conversations allow entrepreneurial authors to not only get valuable feedback on their book or product, but they can build trust, get new ideas and uncover joint venture opportunities that rarely happen digitally. People with big networks aren’t likely to promote you from your Facebook profile. They will, however, consider a joint venture with someone they know, like, trust and have met in person. Before you start “glad handing” your way to your next strategic alliance, be sure to offer them equal or greater value in your relationship. Speaking Opportunities—Authors tend to get more speaking gigs than non authors. 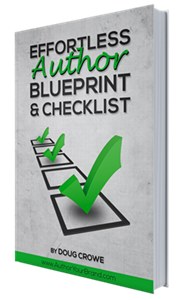 The credibility or “Author*ity” has been properly established with your book, you have an edge on the competition. This increases measurably once you become a best selling author. Earning that badge of honor is not overly complex, but it will require a coordinated campaign. Speaking for local networking groups, Rotary, etc. is step one. After you have your talk polished, going after corporate, trade or association meeting will do wonders for your resume, and sales. Guest Writing—Start looking into promoting others to write for your blog. It’ll not only reduce your need to create content, but you can reciprocate and begin blogging for others (thereby NOT reducing your need to create new content! …sorry). However, being a guest contributor for a magazine or newspaper will also create more opportunities both for sales and additional exposure. I wrote a quarterly column for The Chicago Business Ledger for nearly 2 years and the return on the time invested was significant. Newspaper Editors—Getting in the media is a specialty I learned years ago. From hiring a PR firm to becoming a journalist myself, I’ve been able to make over $36,000 from a single article and over $3.4 million from one monthly campaign. Becoming a media “stringer” or insider requires time, patience and the ability to give leads, ideas, and resources to overworked media professionals. Live Events—For those who enjoy speaking, running your own live events can be highly profitable. Keep in mind, it is also VERY easy to lose money on events, so it’s usually less expensive to speak at someone else’s event, give them a 50% split on your sales, and grow your audience. Once you have over 5,000 to 10,000 responsive people in your database, experiment with a low-cost event and measure your complete ROI (time, money, resources). No matter what your result, if you keep refining and improving your process and grow your database, you can host retreats, workshops and conferences and earn a year’s worth of income in a weekend. At the end of the day, it is the fusion of online and offline that, like a cake recipe, will give you a sum than is greater than the whole of its parts in product exposure, customer reach and greater revenue.